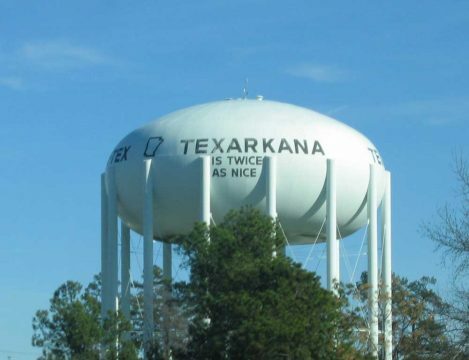 Ahh, Texarkana. They say it is “twice as nice” but it is not “twice as many interstates nice” because I-49 is not here yet. 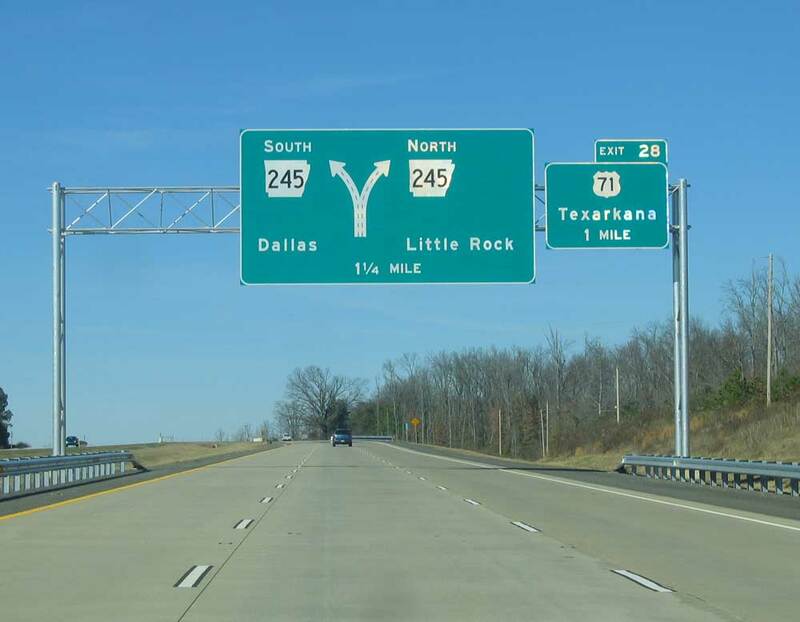 Regardless of your maps, the freeway stretching south of Texarkana is signed only as AR 549. No “Future I-49” signs here, no sir. Here it is, plus some AR 245 goodness. 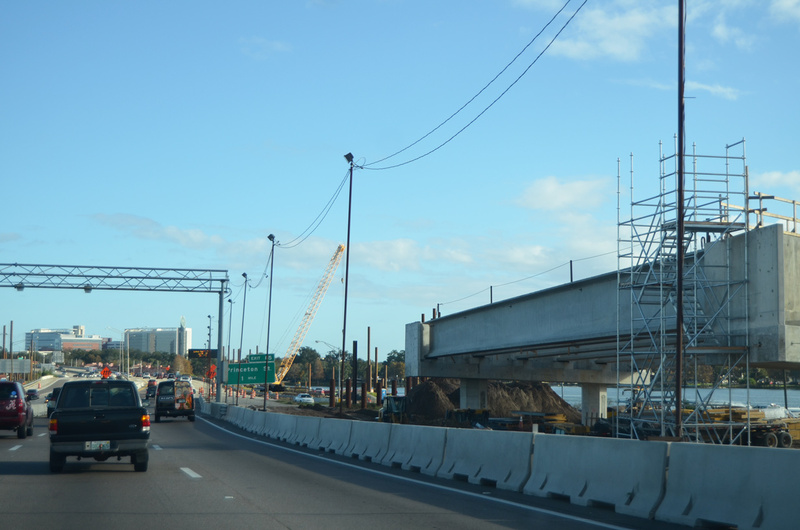 AR 549 is an all concrete facility, with lanes 2×2 but a small 3×3 section at the northern end. 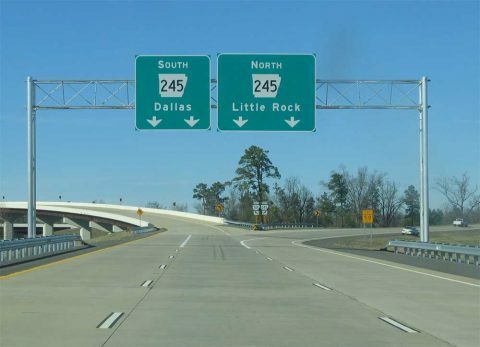 Here the driver has a choice of taking AR 245 south into Texas or north staying in Arkansas. Both routes go to I-30. 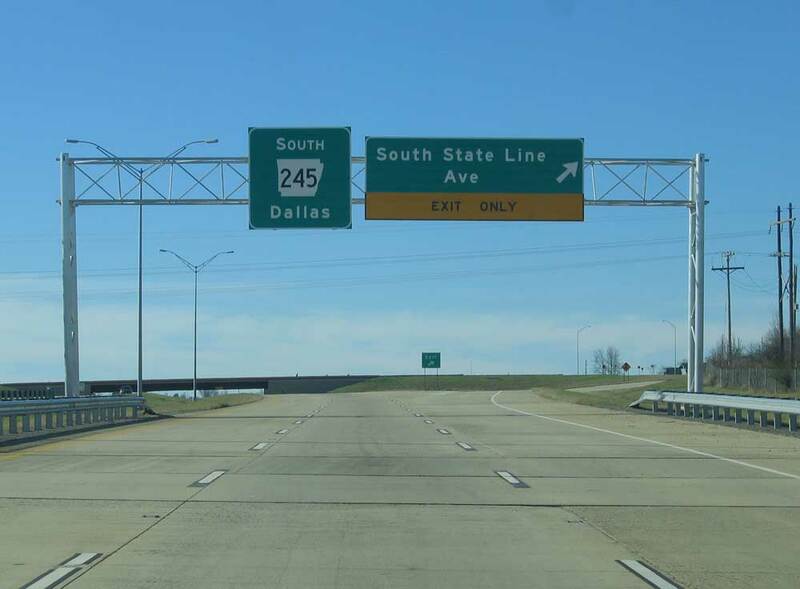 What the signs don’t tell you is that the northbound choice puts you on an expressway while south puts you on a (northbound!) freeway. The southern end of AR 549 puts traffic onto the 2-lane US 71 in a half diamond configuration. 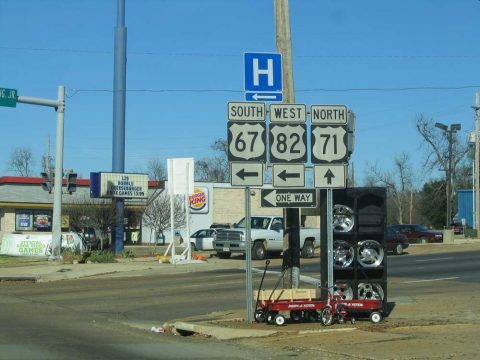 This is about four miles north of the Louisiana state line. 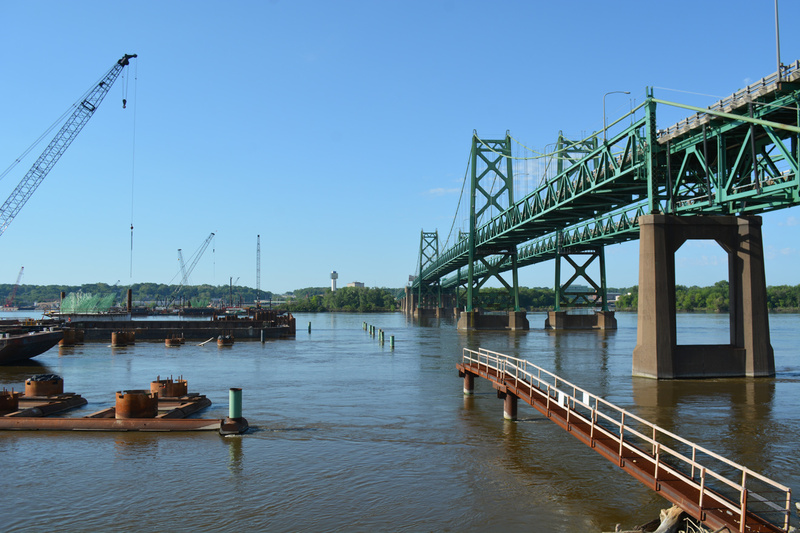 These photos are from a few months ago, but no construction was evident at the southern end whatsoever. 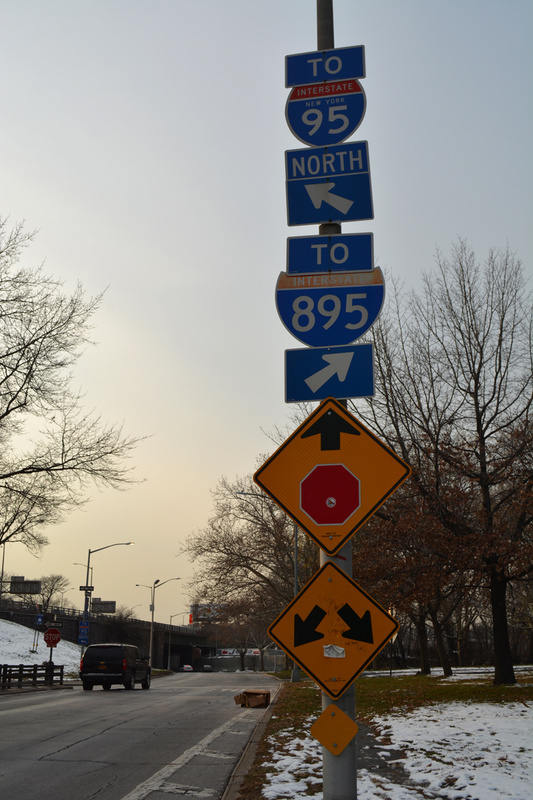 This southernmost stretch of the freeway opened in late 2005. Arkansas 549 at milepost 8. The 29 mile stretch of freeway is fairly dull. It’s by no means boring but the sprawl of gas stations and Cracker Barrels has not made it out here yet. That and the brand newness of the road, and complete absence of traffic makes it seem a little bit off in some way. I suppose it is “what a rural American freeway ought to be” rather than “what a rural American freeway is”. 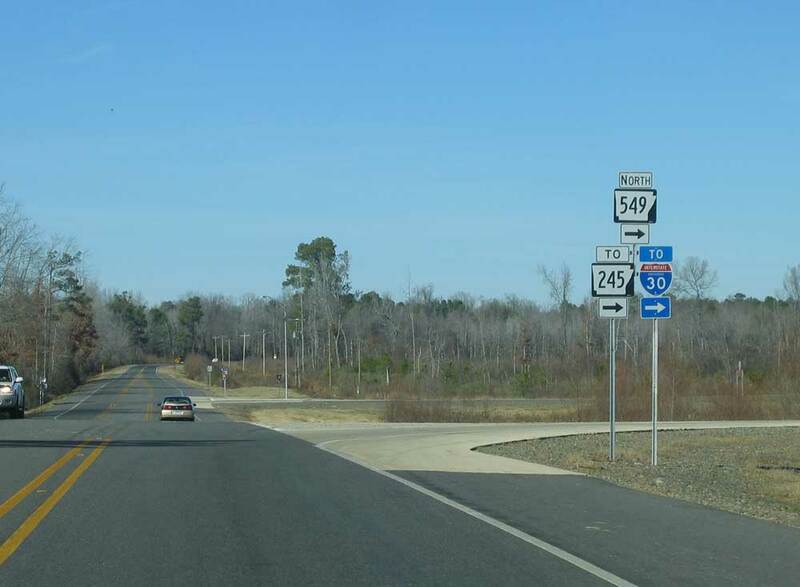 The southern end of AR 245 in 2001. The new section of AR 245 is very nice. Headed west (it’s signed south) from the northern end of AR 549 you hit Texas after about a mile and a half. I’m not sure if this is the future route of I-49 or not, or if it’s going to go around to the east. 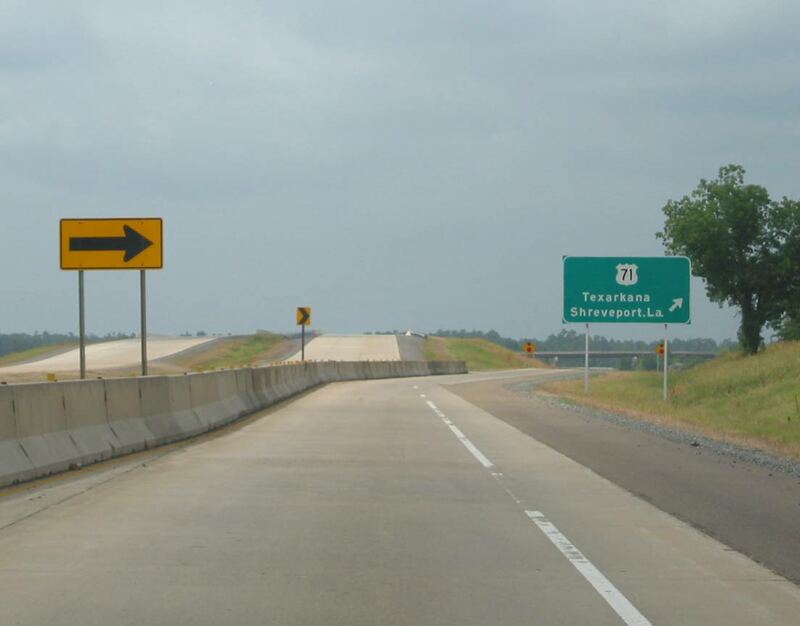 There are absolutely no Future I-49 signs anywhere in Texarkana. At least, not on any of the major roads or freeways. After crossing into Texas, AR 245 becomes Loop 151. 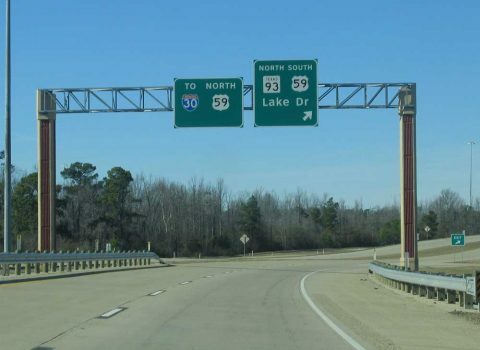 Loop 151 is the newest part of the Texarkana loop, and thus is graced with concrete gantries. 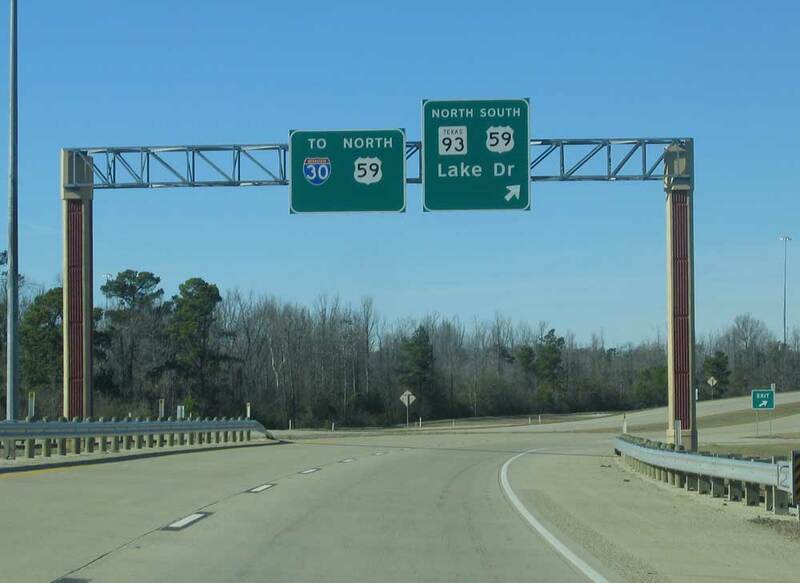 Loop 151 turns north and ends seamlessly into US 59. 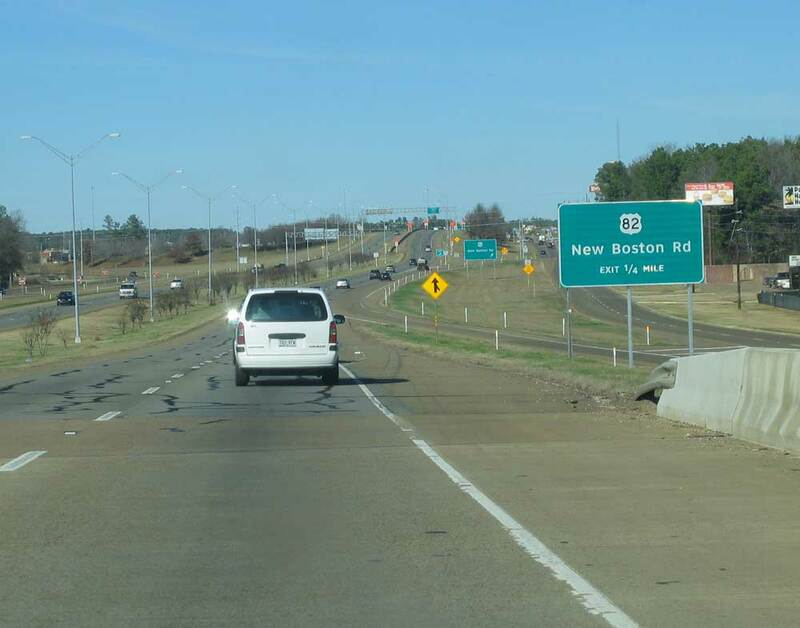 US 59 is a freeway on the west side of Texarkana and is the oldest freeway in town besides IH 30. 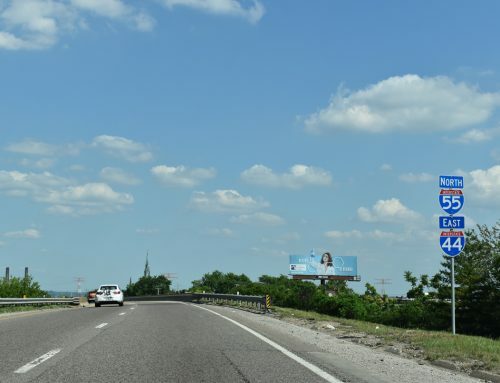 In 2001 and 2003, this freeway had signs up proclaiming it at future I-69 – those signs are all gone these days. Texarkana is well poised on the future interstate highway system with I-49, I-69, and I-130 all possible designations for the area’s freeways. Still, there is just the one, IH 30. 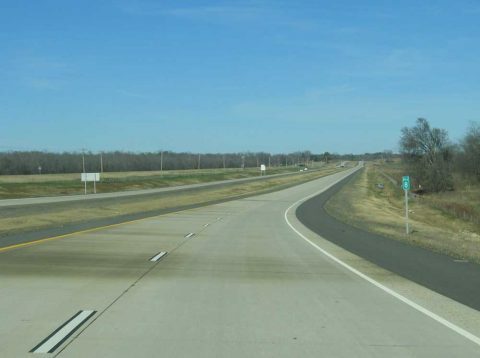 Arkansas has been routinely voted as having the worst interstates in the nation, or is usually in the lower 5. 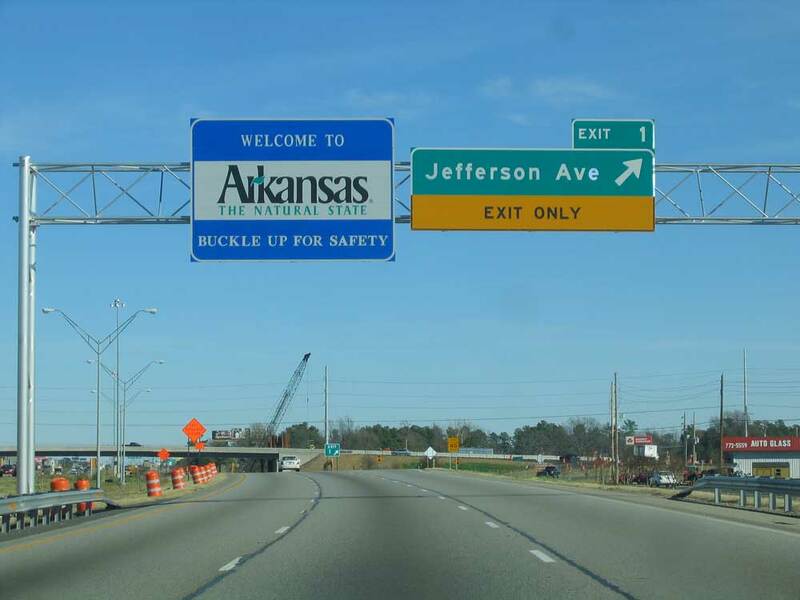 In the mid 90s Arkansas recognized the need to fix their interstate highways, which need about $1 billion in work. 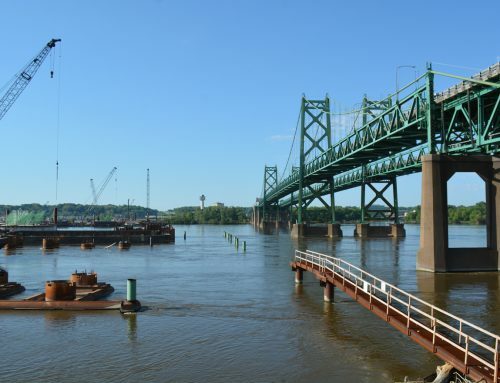 A bond issue was sent to voters and soundly defeated. 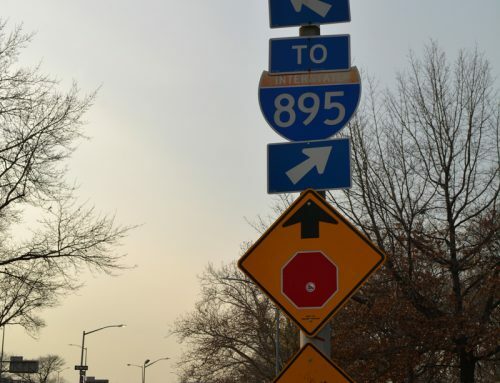 In 1999 the state government came up with a solution of new bonds backed with state highway money, and gas tax increases phased in over several years – and the voters approved it. 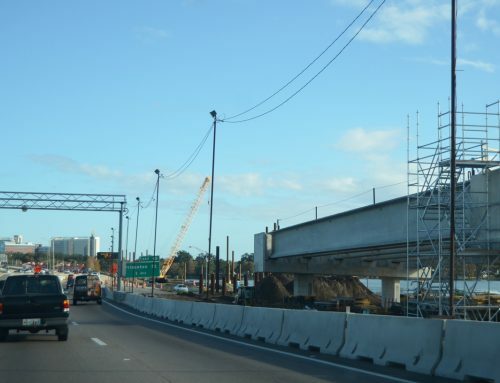 The state can rehabilitate over 100 miles of interstates a year, and will have most of them fixed by 2008. Texas would have just slapped tollbooths on them. Anyway, I brought this up because often at the Arkansas state line on an interstate the orange cones begin. 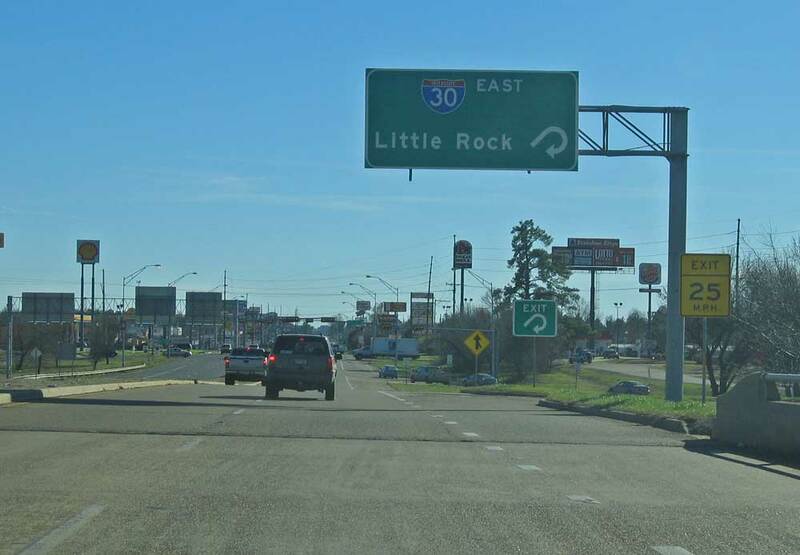 This view looks east on I-30 as it enters Arkansas, it’s currently being upgraded and repaved. The other road thing of interest in the area is State Line Avenue. 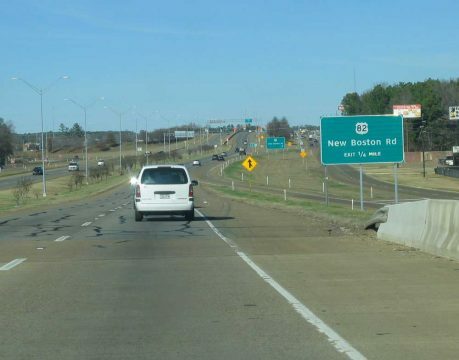 US 71 is carried on old slab concrete and asphalt right down the state line. The city’s main post office is right in the middle of the line. It is the only federal building in the country to sit in two states. 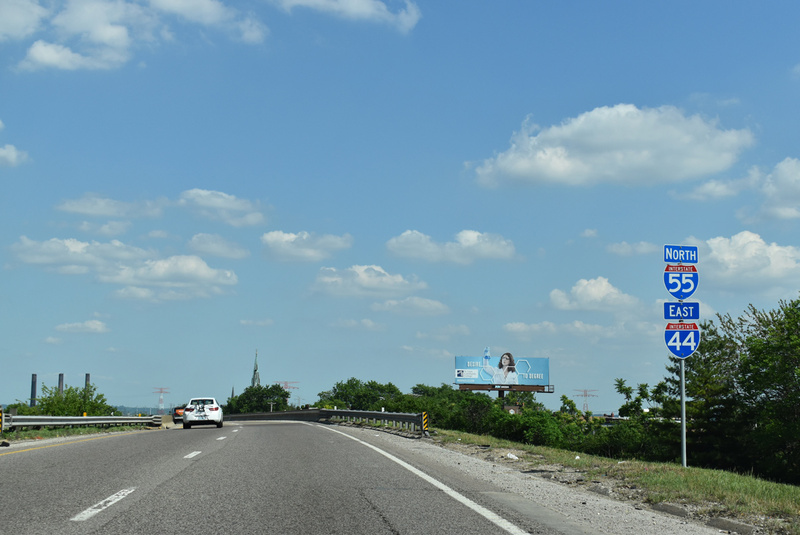 While on the southbound side, they are TxDot. Shreveport – New Orleans are dead places. Completing I49 is useless. Merge traffic to Texas immediately because that’s where we want to go. Anyone loving rich history fine cuisine and some of the very best fishing places in the best on the worlds estuaries that produce some of the best tasting seafood are some of the reasons to want to go to backward Louisiana. New Orleans, once the Queen of the South has one of the largest ports in the United States and is one of the most fun places to visit. If you think New Orleans is a bad place, you are probably racist. But do not be naive, New Orleans is an All-American city with lots of soup that makes up Americas melting-pot of civilization. I am from Canadian, French, German and Native American descent and I can attest that New Orleans is a fabulous 300+ yr. old American charm. 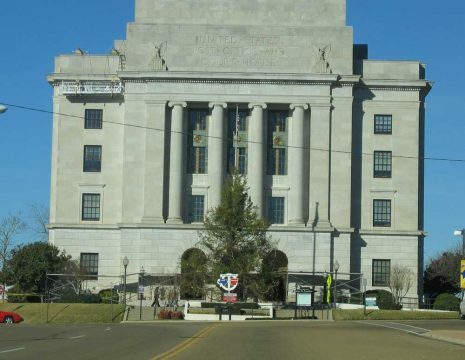 Shreveport has its own charm and value along the historical Red River and is the Northwestern Louisiana Gateway to New Orleans and The Acadian Coast as well as the Atchafalaya Basin, and The Louisiana Prairie. The reason many people perceive Louisiana as being backward is that many here were non-English speaking people and due to the language barriers and unavailability of non-English education, many non-English speaking people were denied an education. But do not be mistaken, there are many intellegent people in Louisiana who were able to settle in unforgiving lands and thrive to make a wonderful–sometimes envious life. Many Louisianians are now living in Texas, making it bigger and better than it ever was and are bringing their rich culture and ingenuity and positive contributions to society there. Remember, Texas was merely a part of Mexico, settled and improved by Europeans. As for I-49, Louisiana is the reason Arkansas, Missouri, and most of all the states west of the Mississippi River are states at all, because many were part of the Louisiana Territory after the Louisiana Purchase, so when you say bad things about Louisiana, its merely a reflection of yourself as an American, because there is a little “Louisiana” in many of us. It’s going to run to the east of Cove and to the south and east of Mena. It’s going to cross AR 8 near the airport and cross AR 88 near the point that Lyles’ junk yard was located for many years.